Proofing moonshine is an important part of the process of making it. There are several different methods used to proof moonshine In this article I’ll discuss each method separately and you can decide which method you like the best. You may have seen the shake test on TV or heard of it from your father. It’s an old school technique to test the proof of moonshine and works well if you have the experience. If your just starting out I’d suggest you try this method and then move on to testing it with a Hydrometer, see just how close you were to predicting the Proof of your Brew. 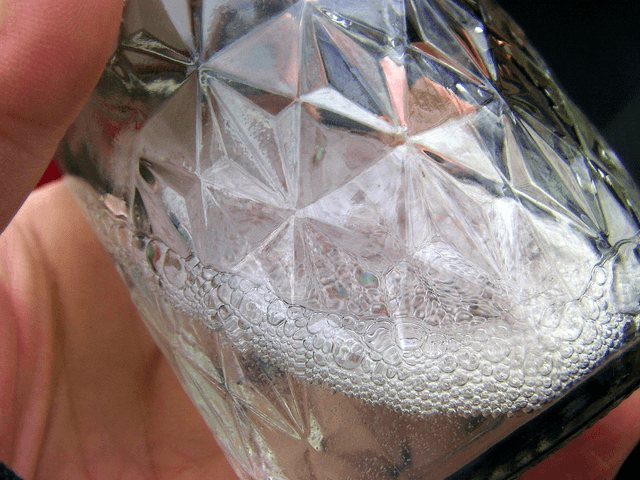 Remember: The faster the bubbles disappear the higher the content of alcohol. For example a bottle of 80 proof Moonshine when shaken will have small bubbles that will disappear after several seconds. Where as a bottle of 180 proof Moonshine will have large bubbles that will disappear instantly. You’ll obviously have to practice the Shake test many times before you can accurately predict the Proof of Moonshine. 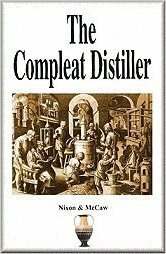 Proofing moonshine with Gunpowder started with the British Navy, sailors figured out if they mixed gunpowder and moonshine it would ignite only if it was of a certain proof. Hence why at 100 proof gunpowder and alcohol mixed together will ignite. This is the basis of the proofing system the United Kingdom used to date. At 100 proof equals 57.1% ethanol by volume. Anything below 100 proof or 57.1% abv will not allow the gunpowder to ignite. Try to light each on fire. Most Home distillers today use an alcohol hydrometer to proof their moonshine. Hydrometers are extremely easy and precise to use. How does a Hydrometer Work ? A hydrometer measures the density of moonshine to the density of water and is able to tell you the exact alcohol content in your shine. How do I measure the Alcohol Content In Moonshine with a Hydrometer? Proofing Hydrometer – If you want to save money Amazon has them for around $5 usually around $15 at your local brew shop. Graduated Cylinder – If your seriously thinking of making this your hobby pick up a graduated cylinder their cheap and worth every penny. If you don’t have one for now any long slender container will work. Step 2 – Drop the Proofing Hydrometer into the Graduated Cylinder. Note: The temperature of the Moonshine will affect the reading on the hydrometer by as much as 20% depending on the temperature. To Correct for temperature use the following Calculator/ Cart. This calculator can be used in place of the correction tables used to calculate fluctuations in hydrometer readings due to temperature.Best practice is to cool down the distillate to 20°C And measure the alcohol strength to get the most accurate reading. At 20 C you don’t need the correction Chart. What is the difference between ABV and Proof? (ABV) Alcohol by volume is a standard measure of how much alcohol is contained in an alcoholic beverage. Alcohol proof in the United States is defined as twice the percentage of alcohol by volume. For Example If moonshine has a proof of 160, it contains 80% alcohol by volume. Are There Different Types of Hydrometers? What is A Brewing Hydrometer used for ? A brewing hydrometer is used when making a whiskey, corn or fruit mash. To measure the specific gravity before and after fermentation. By doing this it allows you to measure the amount of alcohol present in the Mash after fermentation. What Is the Difference Between a Brewing Hydrometer and an Alcohol (Proofing) Hydrometer? Alcohol Hydrometers are used for proofing pure spirits after they have been distilled. Brewing hydrometers are used for testing potential alcohol content in a Mash. 6 Responses to "Proofing your Moonshine – Shake Test, Gun Powder Test, Hydrometer Test Explained"
The reason the experiment in the gunpowder video failed with the 100° proof bottle (in the above video) is because the proof on the bottle is the US proof (100° proof = 50% ABV) and not the original British proof (100° proof = 57.15% ABV). The method was devised by the British and thus the British proof needed to be used, not the US proof. There is another method to the shake test that I was taught by my grandfather. When you shake the jar you have to look close and quick because the bubbles leave pretty quickly most of the time tho a couple bubbles will hang around for a second or two.you look closely at a single bubble you will see a line sometimes it kinda rises up an over the top of the bubble if so it is a high proof if the line appears to cut thru the center of the bubble it is 100 proof if the bubble rides on top of the liquid it is weak less than a 100 proof you have to hold the jar at an angle after shaking it the line is called the liqueur line. weight 1000 g of water. Mark the water line. Fill with moonshine up to the mark. Look up the value for the ABV (=Vol%) for the given specific weight. You can work with any volume and non-metric values, but this needs a little calculating. Never thought of this method before! Anyone else use a different method to proof moonshine then the one’s listed above ?